Snap Tolaca is a fun companion app to our puzzle game, Tolaca Rocks. 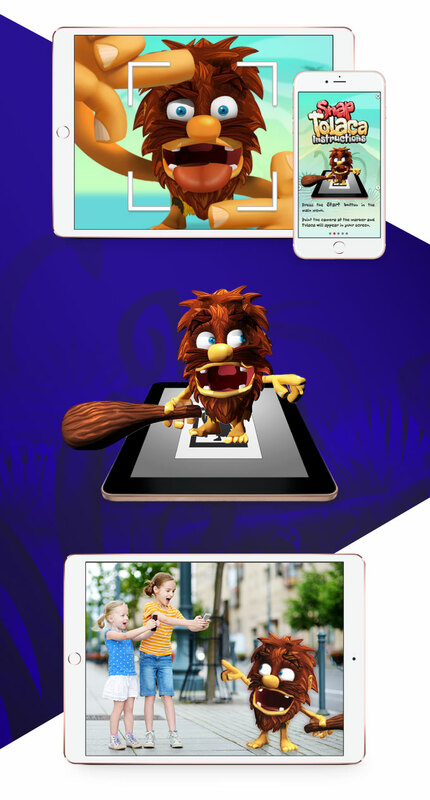 Augmented Reality technology allows users to choose a 3D animation of Tolaca, position it, and resize it to place in a scene of the user's choice. Users can take a picture of a friend, a pet, or whatever catches their eye, and place Tolaca in the shot.